Buy, Rent or Skip Up? 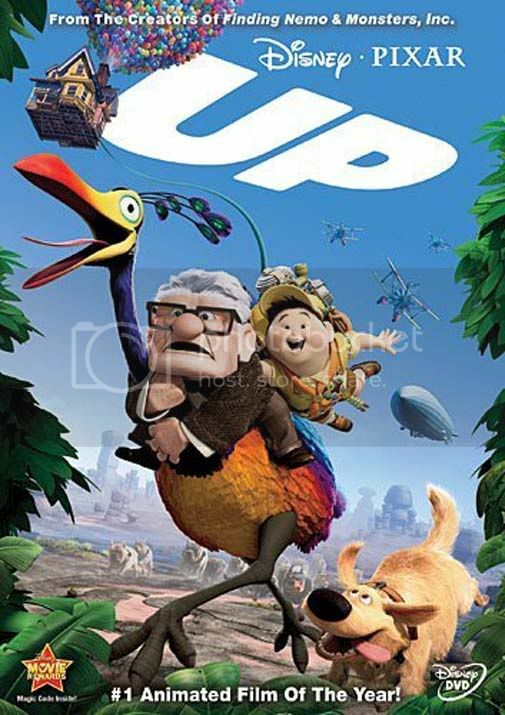 A lot has been said about Up and how it's the best Pixar film to date. I won't argue that it's the best looking Pixar film with two of the coolest characters in the form of Carl Fredricksen (Ed Asner) and Russell (Jordan Nagai). The interplay between the two is instant magic on screen. The movie has some spectacular set pieces as well that are downright thrilling. And the animation is nothing short of amazing. And then there are some sequences that were edited so superbly that leaves you breathless. The Aging sequence was done extremely well. But I can't agree with the majority of the public in saying this is the best Pixar film of all time. If you take away all the visuals and voice acting, we are left with a really sad and at times, depressing film about loss. Think about it. Carl loses his wife Ellie and becomes a widower. He's alone and left with a book of Adventures that is incomplete, adventures that Ellie never got to fulfill, outside of growing old with Carl that is. Out of guilt or whatever you want to call it, Carl decides to at least make one of Ellie's dreams a reality by flying their house Paradise Falls. He reaches his destination but comes to realize that he is still alone without her. Then he meets their childhood hero Charles F. Muntz (Christopher Plummer) who then promptly tries to murder him and Russell. And then later, Carl loses the house that he and Ellie lived in their entire lives at. Sure, the house eventually made it's way to its ultimate destination, but it's still a downer. This one only gets a Rent from me. Like I said, at times when analyzing what Carl has lost in the movie, it's pretty depressing. First animated movie that brought a tear to my eyes. Deeply touching. Love this movie. I owns it baby. Oh, I knew this was one of your favorites. It's just that this one makes me feel sad and that's something I'm not accustomed to with Pixar.